Creating Keepsakes had an article in this month’s edition that lifted layouts and used the inspiration to create a card. Having done that before, it was fun to see the inspiration in July’s magazine, so I did the same with a couple of my layouts using the July kit. 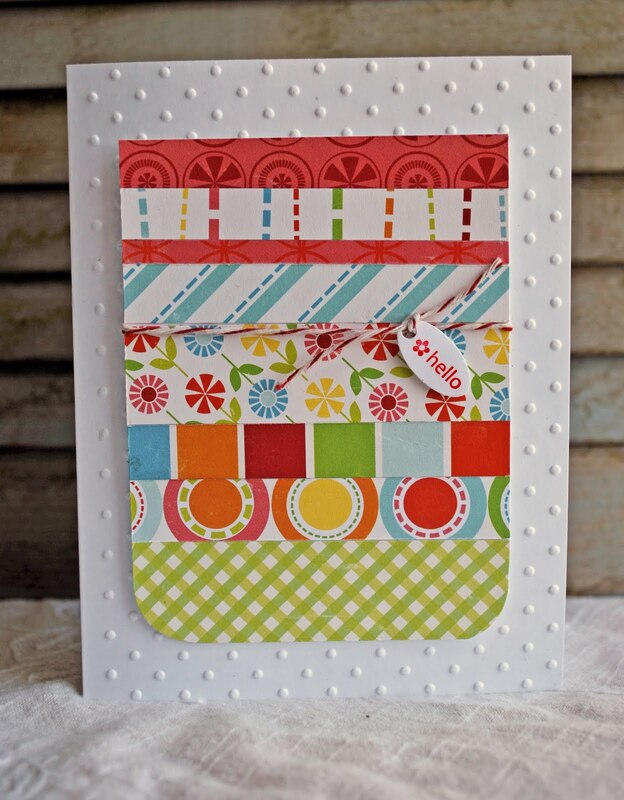 This card above is almost exactly taken from the strips of patterned paper at the bottom of the layout. 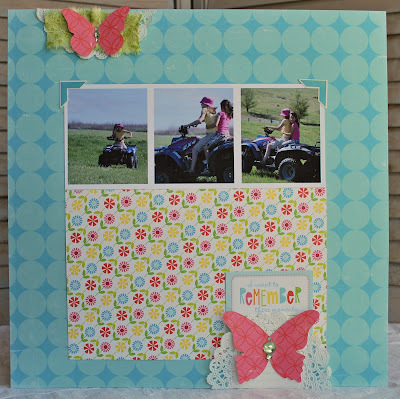 As a matter of fact, I simply used the leftover strips from making the layout, and used it on the card. 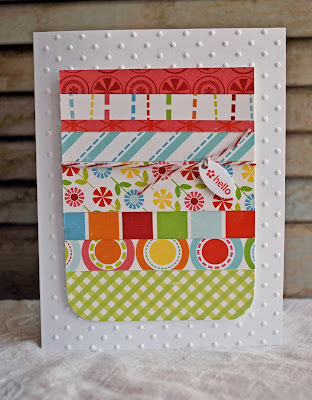 Also, the card was embossed on my Sizzix to follow the texture of the Bazzill swiss cardstock. With this next card, it was the element that included the butterfly that mostly found itself again on the card. 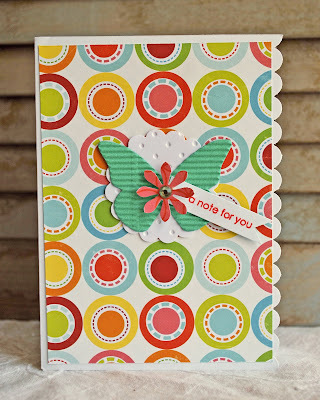 So maybe the entire layout is not what is found on the card, but an idea, a color, an embellishment. We don’t always have to re-create the wheel when we are making cards or altered items. Repeating elements we see in layouts can go away to make for a fresh creation. As well as something to share with a friend. So, now it’s your turn! I would love to see what you come up with. So link me up! what a great set of cards and pages!